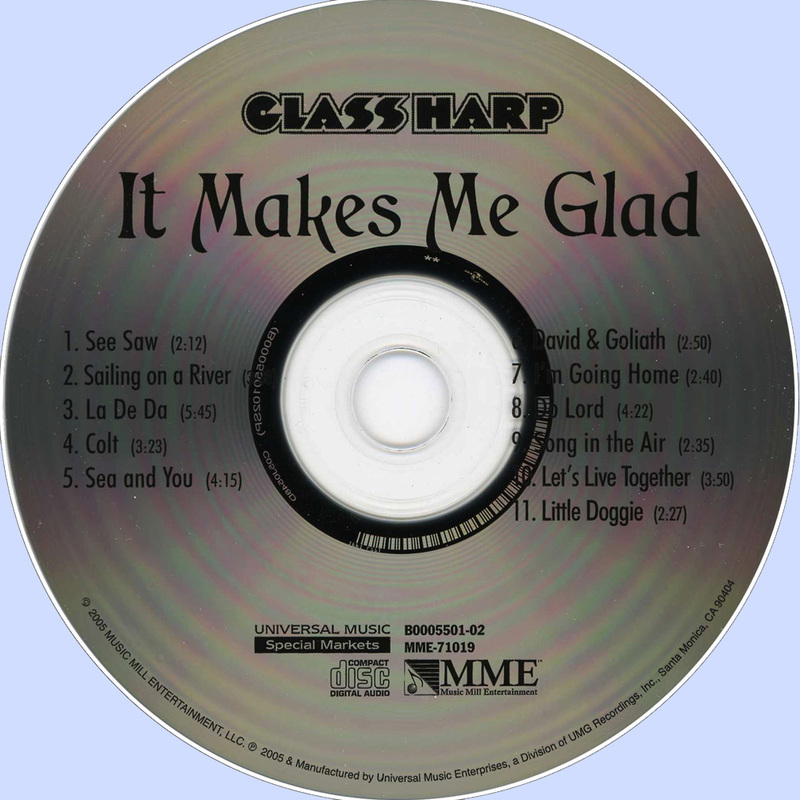 Following the concert, were Glass Harp was opening for The Kinks at Carnegie Hall in November 21 of 1971, (The concert was recorded, but for some reason remained buried until 1997), the trio made their way to the mobile recording unit parked outside to hear the result. Says Keaggy, "Lewis Merenstein, our producer, was there, and we listened to it as it was playing back. It sounded wild. We were really excited about it." "We recorded that album," says Phil, "with everyone knowing that my intentions were to leave sometime in the summer. And I did leave. My last concert date with the fellas was August 8, 1972 in New York. ""There was a lot of compromise on everyone's part at that time," remembers Sferra. "Phil realized that he had to go sort himself out, get away, and just start all over." And get away, he did. Keaggy married and moved to California, where he joined the pioneering Christian band, Love Song. That connection would lead him to relocate again, this time to upstate New York, where he became involved with a Christian community known as Love Inn. 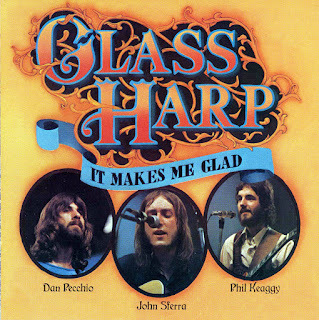 "When I left Glass Harp," says Phil, "people thought I had either died or gone off to join a monastery!" In reality, a second legendary musical career was unfolding. Glass Harp's efforts to fill Keaggy's slot in 1972 were unsuccessful. While outstanding guitarist Tim Burks and violinist Randy Benson came in to fill the void, the magic just wasn't there. The magic, it seemed, was the rare synergism between Sferra, Pecchio, and Keaggy. A year or so later, Glass Harp officially disbanded. Sferra moved on to join bands in northeastern OH, while Pecchio, Jonah Koslen, and Michael Stanley formed another regional giant, The Michael Stanley Band. Several years later, Pecchio and Sferra would join forces again with The Motion, a nine-member R&B/Motown review. The trio has been reunited on several occasions, performing concerts in Akron and Cleveland in 1981 and 1984, and in impromptu settings with John and Dan joining Phil on stage when his concert tours brought him to town.